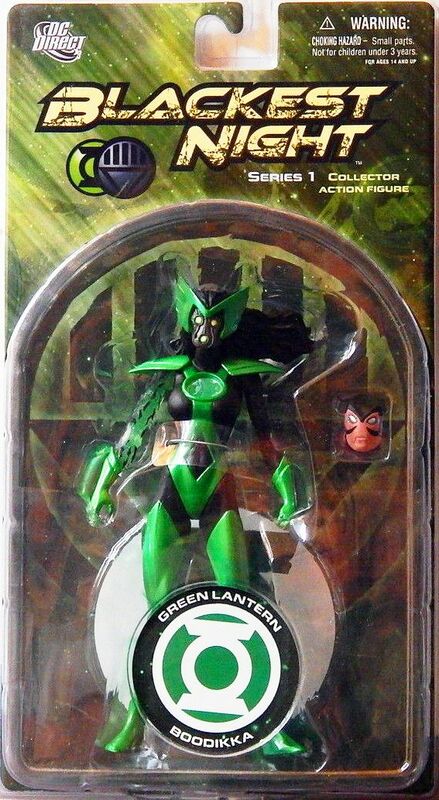 She's Fantastic: DC Direct's Alpha Lantern BOODIKKA! DC Direct's Alpha Lantern BOODIKKA! I always felt that the Green Lantern family didn't have enough female characters. For years the only females I was aware of were Jade and Star Sapphire. Little did I know there were a ton of great characters who have been around for decades. 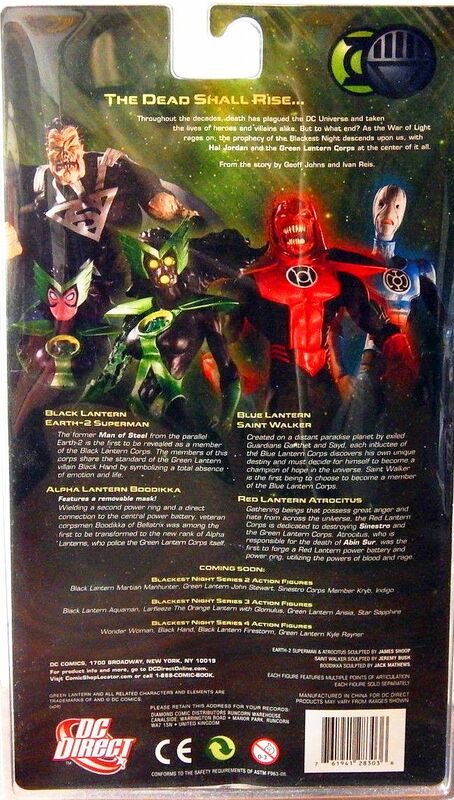 The Green Lantern-centric Blackest Night storyline of 2009 really made me take notice of the Corps for the first time. And luckily DC Direct seemed to take notice, too. There were an impressive 8 females released across their multiple Blackest Night waves. Boodikka is an alien warrior from the planet Bellatrix who first appeared in 1992. Her bio is very confusing. But in general, I gather that she could never quite separate her fierce warrior past with her heroic peacekeeping role in the Corps, which led to a lot of character-building conflict. This action figure is very striking. I had no clue who the character was when I first saw her, but I knew I had to have her. She was actually the first of all my lady lanterns. Let's check her out in detail below! For all her early storylines, Boodikka was a pink-skinned human-looking alien. 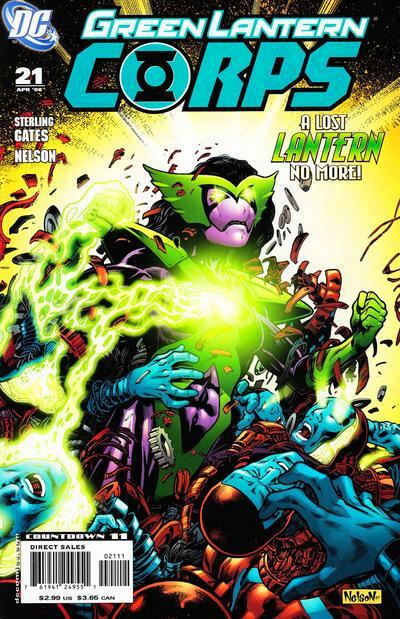 However, in 2008 after the Sinestro Corps War, she became an Alpha Lantern - which is basically an Internal Affairs Officer for the Green Lantern Corps. She was given a second ring which let her communicate directly with the Book of Oa (constantly referencing enforceable GL laws), and was also infused with Manhunter tech making her a cyborg - Hence the translucent "green construct" arm and chest emblem, as well as her pink mask. The John G. Matthews sculpt is great. I will gladly sacrifice a few extra points of articulation to retain the integrity of anatomy. Boodikka's pink facemask comes off to reveal her cyborg inner workings.. very cool. Blackest Night also made me a GL fan, and I bought several of the action figures, including Boodika here- I've kept her in the box, but it's a pleasure seeing here here. I think it's cool that she was packaged without her mask. She looks very wicked and I love that. 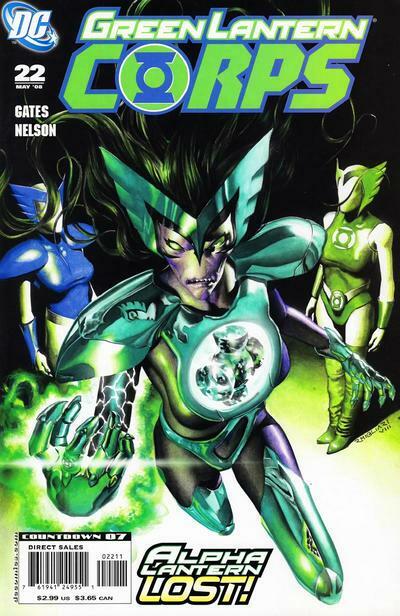 My VERY first exposure to GL was the Emerald Dawn miniseries from the late eigthies. I was too young for it, and I honestly didn't really understand everythign I was reading, but apparently Boodikka was heavily featured in that storyline. I have no recollection of the story at all, but the cover images are fused into my head as I remember getting very excited when buying the new issues each month.